Let’s catch up with the GIANT PUMPKIN patch! 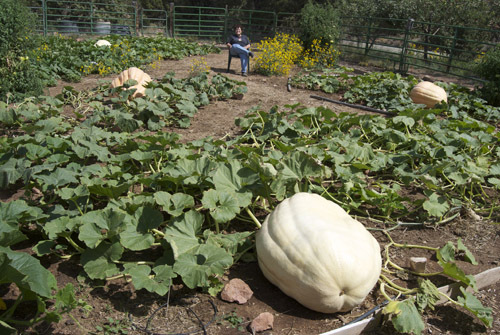 My giant pumpkin patch produced 1298 pounds of pumpkins this year but there were no recordbreakers for 2012. 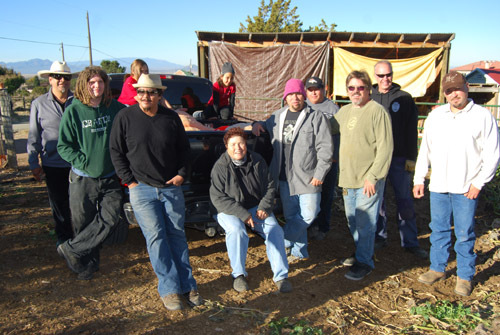 My biggest ‘Orange Crush’, weighed in at 385 lbs (which is on display at our glass studio-Liquid Light Glass at 926 Baca Street in Santa Fe) was picked up and transported by my 8 strong buds which I affectionately call my ‘pumpkin crew’. Not as big as my 2012 NM State Record of 448 lbs. ‘Orange Crush’ will be the star of this year’s ‘4th Annual Pumpkin Bash’ on Nov 10th. ‘Hugo’ came in at 262 lbs (already went to The Food Depot to feed people). 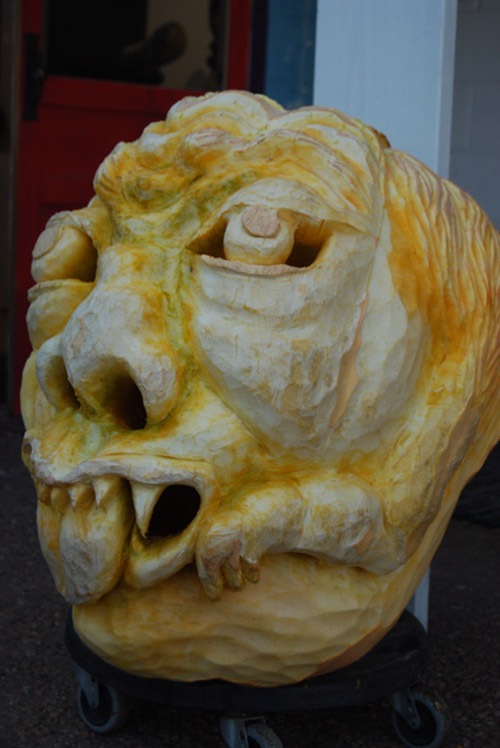 ‘Casper’ came in at 208 ( carved into the biggest jack o’ lantern in Santa Fe by Erika Wanenmacher), ‘Beautiful Baby’ came in at 190 lbs (on display at Prairie Dog Glass), two smaller ones for the State fair came in at 100 and 153 lbs. 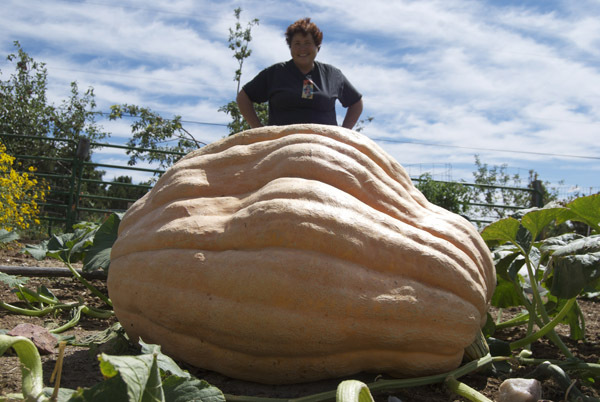 And this year a young man from Albuquerque named Olin, broke my NM State Record, growing a pumpkin (named Shelia) that weighed 530 lbs! 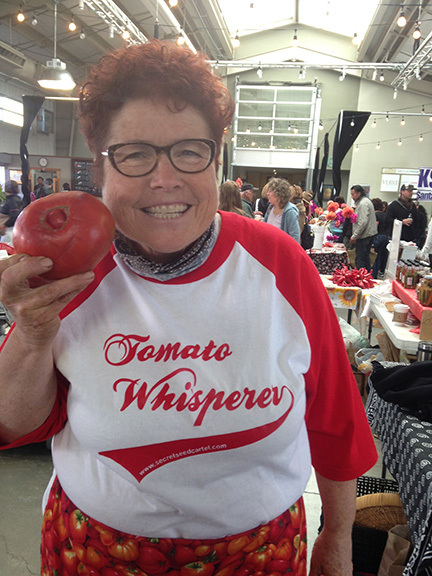 He started the seed on St. Patrick’s Day and had it in the ground on April 1! WOW! 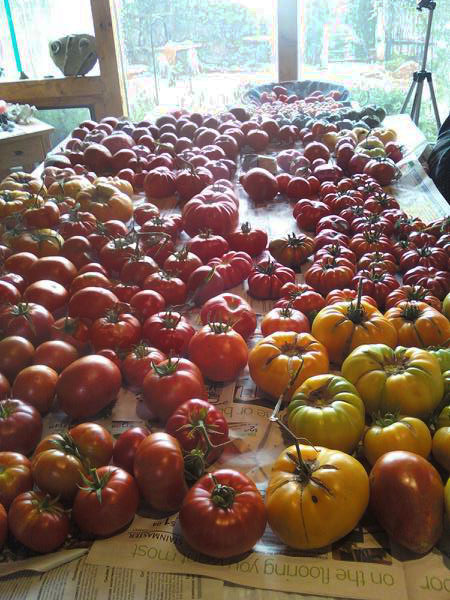 Putting them in the ground in April would be impossible up here at 7000 ft high with our short growing season. Great to have some competition in this state. Congrats Olin but look out next year! This entry was posted in general, GIANT PUMPKINS and tagged Atlantic Giant, giant pumpkin bash, Orange Crush, pumpkin, Santa Fe Food Depot. Lady Gaga pops out if you wait long enough. Just kidding, I’m so not a Gaga fan, but I couldn’t resist.